In early 2008, two somewhat popular health video bloggers set out to answer a popular question from readers and viewers, “What skin care products do you use?” Annmarie found the products in their cabinet weren’t up to their standards so they set out to find a better solution. They discovered after trying dozens of products that many of the natural and organic lines were either not effective or they weren’t really as organic as they would have liked. 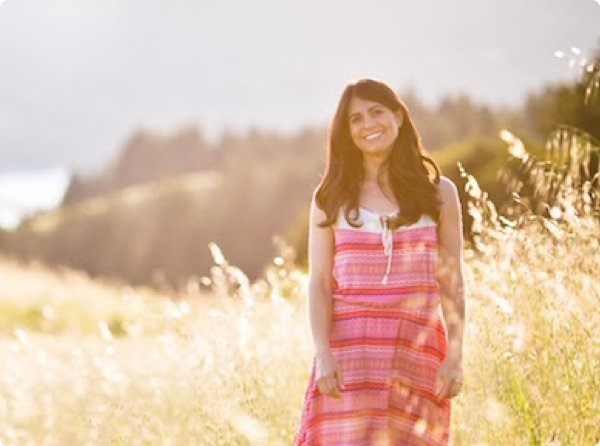 In early 2009, Annmarie sought out a skin formulator to create a pure, natural and organic line called Annmarie Gianni Skin Care. Cultivate a massive change in an industry that needs it. Annmarie’s website and blog opt-in to “Get FREE tips on how to look and feel amazing” just wasn’t working as well as they hoped. Annmarie wanted a more engaging and higher converting way to capture the contact information of visitors to their website so that they could more effectively help their community remove toxic products from their cabinets. 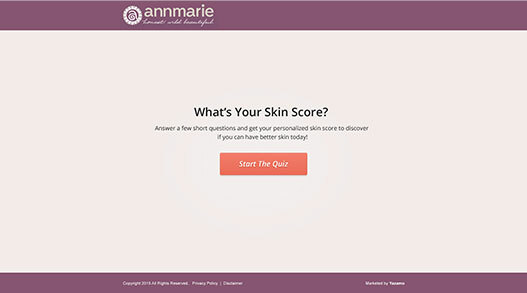 Annmarie created a quiz called, “What’s Your Skin Score?” to help their visitors understand if they could have better skin, and if so, what to do next. They placed their quiz on their most heavily trafficed pages – their homepage and their blog pages. 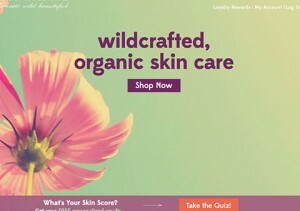 For anyone that completed the quiz and opted in, they were offered a sample skin care kit for only $10, free shipping, a free ebook called The Toxic Free Home Guide, and a $10 coupon towards their next purchase. Testing different ways to capture leads and sales Annmarie did a great job of offering multiple ways for their visitors to take their quiz and sign up as new clients. Before putting their skin quiz on their website they had an optin for a 10% discount off the first purchase. With that offer they generated almost no sales. 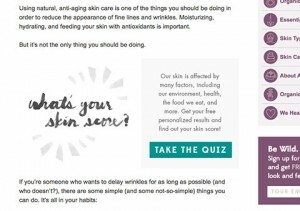 After they made the quiz the main optin on their homepage, they generated $100,000 in new sales in only two months. Annmarie added an image that linked to their quiz on each of their blog posts to capture more leads and generate more sales. 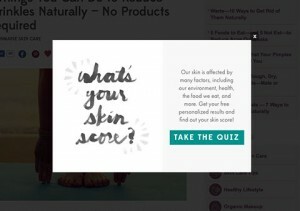 Before using the quiz as a pop up on their site, they used a Savy Shopper Guide pop up window that only generated a 3% conversion rate. After using the quiz as a pop up, the conversion rate improved to 12%, a 400% increase in conversions. 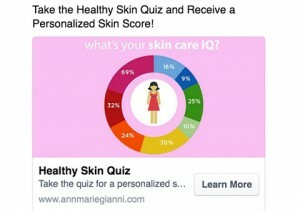 Annmarie advertised their quiz on Facebook to new audiences and profitably generated $8k in new sales. Annmarie made one of the best offers we’ve seen. While they have a premium priced product in their space, for first time customers they offered a Sample Kit for $10 with free shipping, a Toxic Free Home Guide eBook, a $10 promo code towards their next purchase, and a 100% money back guarantee. They made an offer that was aligned with their quiz, was extremely attractive to anyone interested in their products, and took away all risk of trying it out. Your goal with your first sale should be to get the customer in the door so you can make them lifetime buyers.